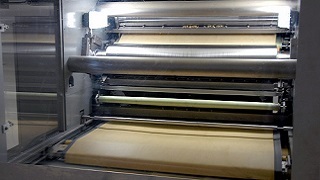 A sheeter and two gauge rolls produce a continuous dough sheet that is cut and then laid down on a continuously moving conveyor feeding the first gauge roll. 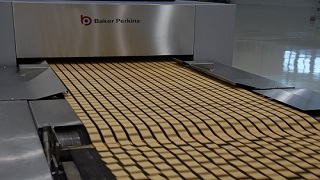 Baker Perkins is a world leader in the supply of complete plants for the production of baked snacks. We offer a series of best-in-class unit machines in each key technology; more than a century of experience provides us with an unrivalled ability to combine them into profitable, efficient, flexible systems. 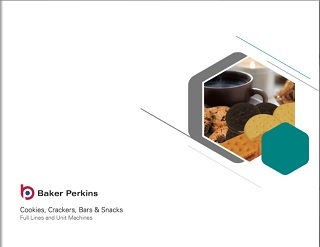 The Baker Perkins Vertical Cut Sheet Laminator is the choice of leading snack makers throughout the world and provides the highest levels of quality and accuracy. Laminating gives a light, flaky, crisp texture to snacks which cannot be achieved in any other way. For multi-purpose lines, a special configuration allows the laminator to be used for both laminated and sheeted products. 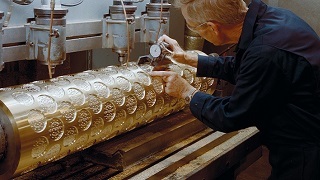 Lines can be supplied for laminated or sheeted products - or both, if the unique Combination Laminator is used. There is also a version for soft dough products that can be used in place of a rotary moulder for dough with inclusions or where a lighter texture is required. Baking is a vital process, and Baker Perkins’ comprehensive oven range allows each specification to exactly match the end product. 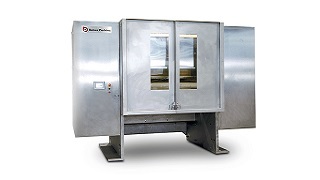 The Direct Gas Fired (DGF) Oven is usually specified for snack baking as it is modular and offers great flexibility in baking characteristics. Many of today’s snack systems use a Hybrid Oven. This features a DGF element at the start when the process is critical, and radiant heat without turbulence is preferred. The DGF module is followed by a TruBake™ section which allows major savings in bake time, capital cost and energy. It also provides significant quality, consistency and reliability benefits by creating a dependable and stable airflow within the chamber. 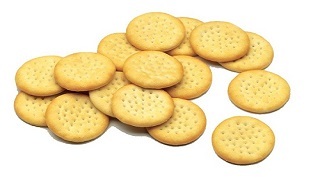 View some of the many baked snack products that can be made on Baker Perkins' process lines.